Animal Themed Felt Quiet Book Pattern NOW AVAILABLE! Today I am so happy to release a new pattern–my 3rd Felt Quiet Book Pattern and this one is animal themed. I think I might like it the best. It was so fun to make since the good Lord has gifted us with so many cute and wonderful animals in this world. This Animal Themed ABC book was for little Dominic. He liked it. It’s bright and colorful and hug-able. And chew-able! Like I said, this book is animal themed. For each letter of the alphabet there is an animal. Fun, right? I worked hard to make the templates for this book very simple. In fact, I would say that this is the easiest of all of my books to put together. Although the templates include eye pieces, I made my book without them, preferring instead to have just a simple almost-sillhouette look for each page. I really love how it turned out. 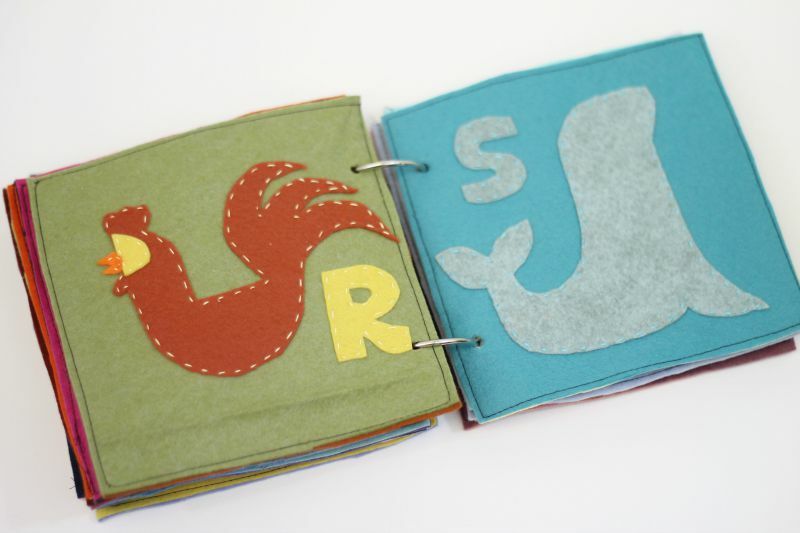 Once again, the book is colorful and fun since I used my favorite felt, which I continue to get from Benzie Design. 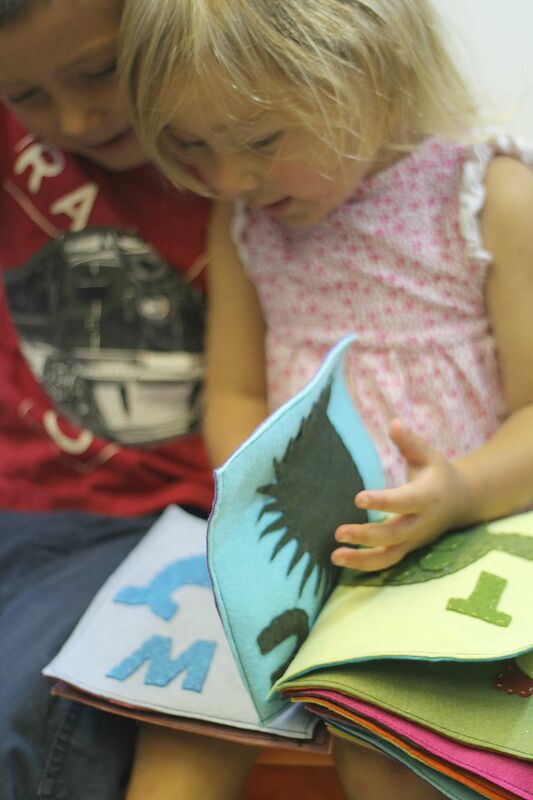 This felt quiet book is similar to the others in that it is basically all felt applique and hand stitching. I also bond the book in much the same way, with eyelets and metal rings. All of this is explained in detail in the instructions included in the pattern. 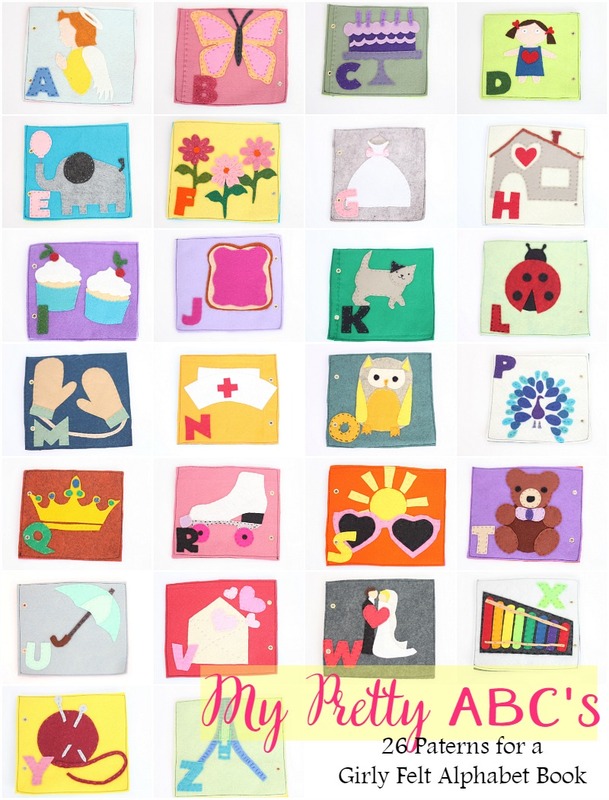 I love making my felt ABC books this way. 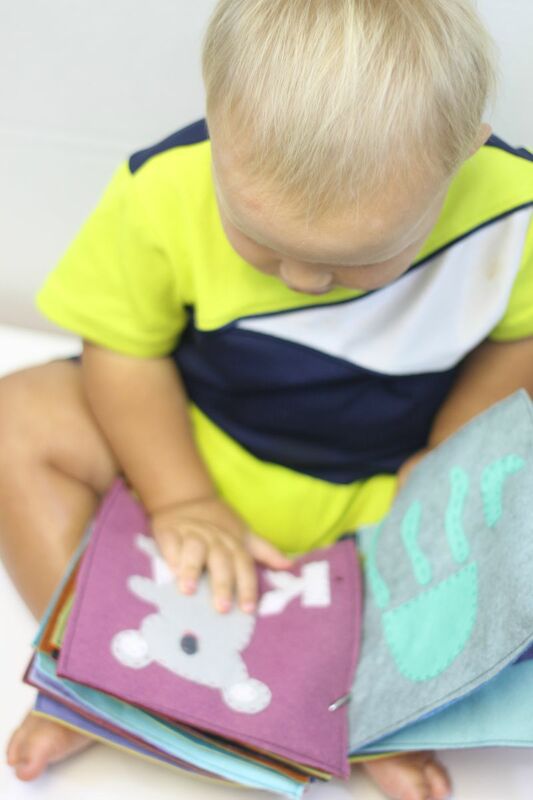 The pages are baby safe in that there is nothing they can pull off and choke on, but they are still slightly raised and have a sensory quality that my kids love. In fact, my 4 year old keeps his ABC ADVENTURE book with all of his special things and looks at it regularly, picking out the letters he knows and the objects he loves best. He does a crafty mommy proud! Here is a rundown of all of the Felt Quiet Book Patterns I have released so far. To purchase any of the PDF patterns, just click the green “add to cart” button below each image. Thanks so much for your continued support and have a very happy weekend! 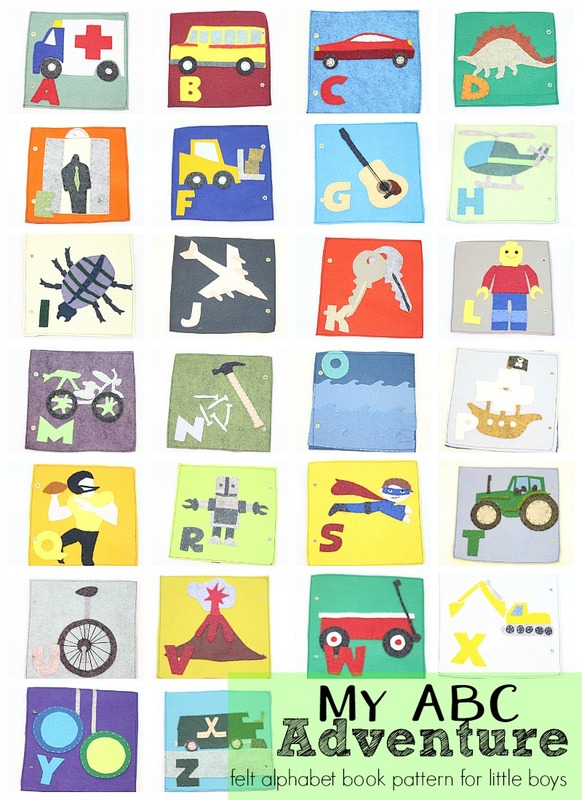 Hi, I purchased the pattern for the boys ABC book. I never received them. They were purchased Sunday April 24. Its possible it went to spam and I didn’t catch it. That is possible. i will email it to your directly right now. Sorry about that!